I'm a huge fan of Molly McAdams and have been super excited to read this book for a while, which meant going into it I had expectations. They were somewhat vague expectations---you know, like that I was going to enjoy it and the romance would be awesome and whatnot---but they were all positive. The reality of I See You, however, was that it exceeded them all. When I started this novel, I knew the basic set up of the story and that was it. I don't think I'd even read the actual synopsis---I only knew what I'd heard told to me about this book. So I was surprised by the set up. The POVs are alternating, just like in a majority of Molly McAdams' books, which is something I love. But this one is split between three different times. Each chapter is labeled with when it happens (present day, however many months ago, etc.) so it's not hard to place when things are happening... but the way the story is experienced thanks to this jumping around was PHENOMENAL. Honestly, I believe this is the best executed of all of Molly McAdam's novels. The storytelling was so incredibly well done. Thanks to the experience of those time jumps (which threw me for such a loop in the very best way), but also thanks to how well written the story was. There was so much EMOTION, and my feelings were everywhere. It was amazing. Then there was the romance, which was awesome. The connection between Jentry and Aurora was lovely. Their struggles were deep and complicated, and the way their love shined through even while going through everything was beautiful. This was a couple that was easy to root for even when everything else about them was far FROM easy. 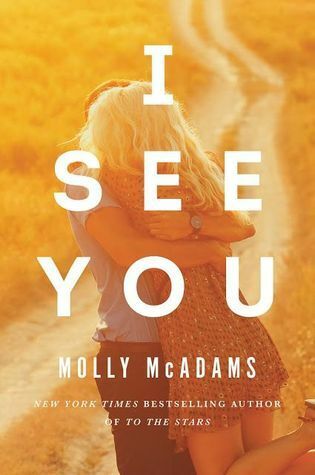 Overall, I See You is one of the best stories I've read by Molly McAdams. The storytelling was phenomenal, the conflicts were raw and complicated, and the romance was deeply beautiful. This novel is fabulous, and I absolutely loved it! 5 stars - A raw and complicated love story. 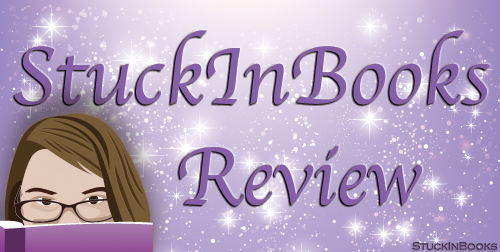 If you love romance and this book is not on your radar, it needs to be! I need to read one of her books--I've been intrigued for a while. Glad it was a win for you! I don't usually read the romance genre, but this book sounds great! Glad you rnjoyed it. I'll definitely be keeping an eye out for it.